If you are handling your children with the right kind of approach in their growing stage, they will be ready to handle every kind of situation in the later part of their life. It’s important that you are showing affection, encouraging your child to be expressive, and listen to what he has to say, no matter how silly he talks. It’s a myth that self-confidence and self-esteem are associated with only adulthood. If a child has not been brought up in the right way in the first few years of his life, he will grow up to be a person with low self-esteem and low self-confidence. Self-esteem, as defined by many experts, is “the value and respect you have for yourself.” It’s actually the love and respect that you show to yourself. Those children who have been brought up in a way to feel good about themselves and their talents are more confident in the later stage of their lives. Well-Nurtured self-esteem will pave a way for your children towards making a healthy relationship with their peers. 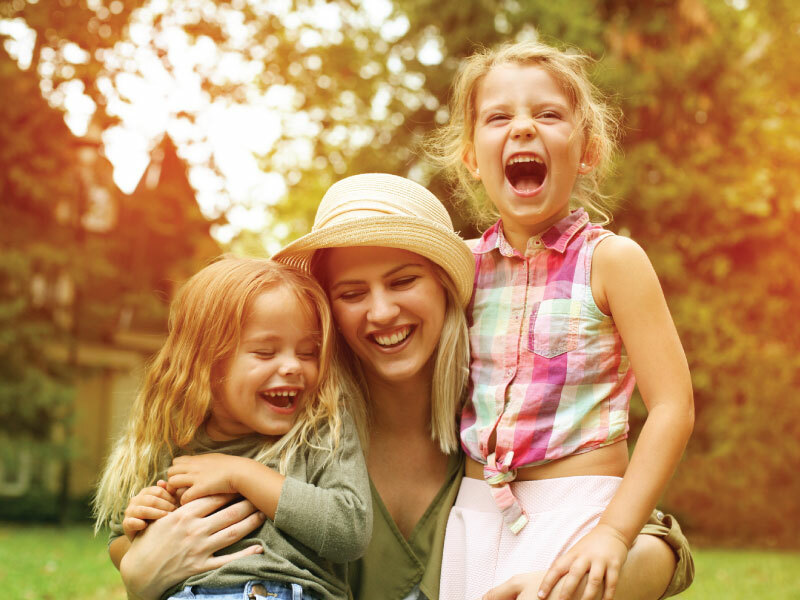 This happy & healthy approach to life will make your child an overall positive person. Here, we have jotted down some ways by which you can build your child’s self-esteem. Surprisingly there are thousands of children who face low self-esteem in the later stage of their life. And, in 90% of the cases, that happens because their parents have not been there (emotionally/physically) while they were growing. Little things like holding your children and saying that you love them without any condition will make them feel more secure and safe. This intangible sense of security will make your child a stronger person. Feeling loved will make your child more expressive and give him the confidence to share his feelings and opinions with people. While with little ones, you can hug and kiss to show off affection, you’ll have to act more prudently with grown-up children to show affection. One of the important aspects of the right kind of parenting to help your child develop much-needed self-esteem is letting them act independently. With each year, make sure you are cutting down on helicopter parenting. Give him the space to do certain things on his own, make mistakes, fall down, and learn from it. This will prepare him to face the challenges and withstand hardships! Every time doing a task for your child will make him weak and take away his sense of independence. The task may be as trivial as tying the shoelaces or making a sandwich, but letting your child do it for himself will make a huge difference. In the process, he will get a chance to acquire new skills and become more confident about their abilities. For building your child’s self-esteem it is quite important to show them love the way you can. You should make sure that you don’t put any conditions on your love! Whether he is failing or excelling in a test, you should make sure that the shadow of your love is always there. It’s really important that your child knows that no matter what (even if he makes a mistake) you’ll always be there to love them. This does not really mean that you are encouraging him to make mistakes. This will mean, in essence, that, your child will get openness to talk everything with his parents. This way you can teach him the right approach to life and make sure that he knows that no matter what he is worth the love of people around him. Also, this approach will make him more confident, and enhance his self-worth. Your child’s achievements can be as subtle as getting ready for school on his and as big as getting selected in Junior’s cricket team, but make sure that you are praising him for his achievements. It’s important that you are encouraging him to take up new interests and hobbies. With a continuous effort coupled with a push from your side will make your child understand and develop his natural talents. They will realize that with hard work they can become an example for others in the area of their interest and their natural talents. Apart from the achievement, if the child fails in his endeavors, you must praise him for the efforts he puts in. You should notice his continuous efforts and be proud of him for everything he has done in the direction irrespective of the results. This is going to enhance your child’s self-esteem and self-confidence. Self-control is considered a key ingredient of a happy and disciplined life! It’s important to teach your child the art of self-control in the early stage of his life. Studies show that a child acquires the art of self-control and self-esteem, at the tender age of 5 (like an adult). Your child cannot accompany you every time, so you need to help him develop the much-needed self-control, and the art of checking on his impulses so that they can take their own decisions from the very young age. This you can do by talking to them and telling them about the right actions they should take when their self-control is being tested. This approach will teach your child to take control of themselves for in situations as simple as being tempted by cookies or getting angry. One way in this endeavor could be teaching your child the art of “self-talk”! Learning this ability can help in a wonderful way in the direction of enhancing self-worth. They will get to know that they have the ability to navigate their worlds the way they want. Find out ways and strategies through which your child could listen to you while you talk something positive about him. Talk particularly about the thing and the area he has performed the best and that makes you feel proud of being a parent. This approach can have wonderful results in the direction of building your child’s self-esteem. Another approach could be having your child stand in front of the mirror and asking him to talk about the things that he likes about himself. This may involve any kind of talents, accomplishments, style, personality, or anything. This will help them feel good about themselves and believe in their abilities. So, as a parent, if you are going with the right kind of approach and making your child feel worth about all the positivity in the world, he will grow up as a confident personality. The right mix of self-esteem and self-confident is very important for emerging successful in every area of your life. Help your child develop a positive self-image and he will develop the confidence taking up the challenges and hardships of life positively.